LexSage is a boutique Canadian international trade and sales tax law firm operating from the historic Gooderham “Flatiron” Building in Toronto, Ontario. LexSage was founded by Cyndee Todgham Cherniak. LexSage offers specialized legal expertise that is based on 20 years of experience in some of Canada’s most prestigious national and international law firms. LexSage offers sage legal counsel to domestic and international businesses and individuals who need specialized advice from lawyers who look at international trade, customs, export controls and/or sales tax issues on a daily basis. LexSage compliments and supplements legal services offerings of large and small Canadian and international law firms that do not have in-house expertise in international trade and/or sales tax law. LexSage is a resource and an outsource destination focussed in the areas of antidumping and countervailing duties, customs law, NEXUS pass confiscations/appeals, import and export controls and economic sanctions/trade restrictions, anti-corruption and anti-bribery, safeguards, technical barriers to trade, World Trade Organization strategic planning and litigation, North American Free Trade Agreement strategic planning and litigation/arbitrations, NAFTA Chapter Eleven investor-state arbitrations, free trade agreements, bilateral investment treaty arbitrations and strategic planning, government procurement bid challenges, international sale of goods contracts, food and consumer safety, harmonized sales tax, goods and services tax, provincial sales tax, employer health tax, land transfer tax, etc. 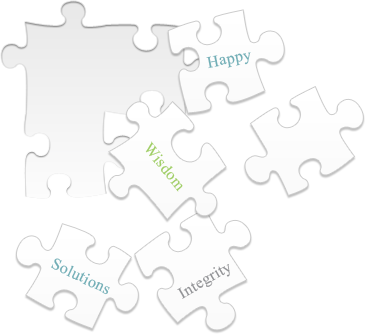 Sage legal advice is delivered in a flexible, practical, holistic and cost-effective manner. Cyndee Todgham Cherniak is quoted in this December 28, 2018 article written by Janyce McGregor for CBC online entitled "International trade in 2018: making sense of a "tariffying" year". Cyndee is quoted as saying "she thinks businesses are only just beginning to wake up to the consequences of politicians escalating economic sanctions against countries like Iran and Saudi Arabia. The arrest of a Huawei executive in Vancouver, she said, may be only the beginning. Canada's new Magnitsky Act — a law allowing Canada to go after the assets of foreign officials implicated in human rights violations — should get more attention, she added, particularly if it's applied to Saudi Arabia. "It will have a significant effect on companies carrying on business worldwide." Cyndee Todgham Cherniak is quoted in June 19, 2018 a Globe & Mail Article written by Steven Chase entitled "Canada's duties for shoppers to smuggle, Trump wrongly accuses" Canada does not charge customs duties on U.S.-made shoes when a Canadian shopper goes to the United States for a day of shopping (less than 24 hours). Canada only charges sales tax at the border - just as Canadians have to buy sales tax when they buy shoes in Canada. If a Canadian buys non-U.S. shoes (e.g., shoes made in China), a Canadian pays customs duties and sales taxes at the border). So, Canada give a preference to U.S.-made products bought by Canadians in the United States. You're invited to a complimentary event – Join us for breakfast at the inaugural tax round table by Thomson Reuters. This event will take place on January 23, 2018 from 7:00 am to 10:00 am at the Bay Adelaide Centre, West Tower 333 Bay Street, 29th Floor. For more information and to register please click "read more". LexSage is pleased to announce that its founder, Cyndee Todgham Cherniak, has been named a client champion by Martindale-Hubbell. Ms. Todgham Cherniak was selected for this honour based on exceptional reviews provided by her clients. To see the plaque awarded to Ms. Todgham Cherniak please click "read more"
LexSage is pleased to announce that we have received a favourable decision on behalf of our client Conares Metal Supply with respect to the importation of Carbon Steel Welded Pipe. On December 8, 2017, the Canadian International Trade Tribunal ("CITT") released its decision in LE-2017-003. The CITT ordered that an expiry review of goods being exported from the UAE by Conares Metal Supply Ltd. is not warranted. To read the CITT's complete Decision and Reasons, please click "read more". Cyndee Todgham Cherniak was interviewed on the CBC program "On the Money"
On December 1, 2017, Ms. Todgham Cherniak appeared on CBC's "On the Money" to discuss Prime Minister Trudeau's trip to China and the expectation that it will lead to free trade talks. Ms. Todgham Cherniak was interviewed by Peter Armstrong and discussed what could be achieved during this meeting and what issues would need to be discussed during future trade talk negotiations with China. On November 3, 2017, Cyndee Todgham Cherniak was quoted in an article by Michelle Zillio in the Globe and Mail entitled "Canada sanctions 52 human-rights violators under new Magnitsky law". Ms. Todgham Cherniak discussed companies new obligations under the Magnitsky Act. On October 30, 2017, Ms. Todgham Cherniak's article titled "Know Your Rights at the Border" was published in the Law Times. On October 19, 2017, Ms. Todgham Cherniak appeared before the House of Commons Standing Committee on Public Safety and National Security. Ms. Todgham Cherniak provided testimony with respect to Bill C-21 which amends the Customs Act to implement the Beyond the Border initiative between Canada and the United States. Ms. Todgham Cherniak appeared before the House of Commons Access to Information, Privacy and Ethics Committee. We are pleased to provide a link to the transcript of Ms. Todgham Cherniak's testimony. Ms. Todgham Cherniak appeared before the House of Commons Access to Information, Privacy and Ethics Committee. We are pleased to provide a link to the recording of Ms. Todgham Cherniak's testimony. Cyndee Todgham Cherniak has been quoted in an article by Colin Ellis for Canadian Accountant on October 3, 2017 entitled "Do we need NAFTA more than NAFTA needs us?" Ms. Todgham Cherniak discussed NAFTA negotiations around government procurement at the federal, provincial and municipal levels. Cyndee Todgham Cherniak has been quoted in an article on October 3, 2017 by Colin Ellis for Canadian Accountant titled "Why CFOs should worry about rising U.S. protectionism". Ms. Todgham Cherniak discussed the recent countervailing duty imposed on Bambardier by the U.S. Department of Commerce. Cyndee Todgham Cherniak has been quoted in an article by Cristin Schmitz in the Lawyer's Daily on September 28, 2017 entitled "CBA Asks Ottawa for Robust Protections for Solicitor-Client-Privilege at US Border". Ms. Todgham Cherniak discussed searches of cell phones, laptops and pda's. Cyndee Todgham Cherniak has been quoted in an article on September 28, 2017 by Jeff Buckstein for the Canadian Accountant titled "Canadian manufacturers nervous after 3rd round of NAFTA negotiations". Ms. Todgham Cherniak discussed the three basic options that lay ahead in the NAFTA negotiations. Cyndee Todgham Cherniak, as a member of the CBA Privacy at the Border Working Group, contributed to the preparation of a submission entitled "Privacy of Canadians at Airports and Borders". This submission was presented to the House of Commons Standing Committee on Access to Information, Privacy and Ethics (ETHI) on September 27, 2017. On September 27, 2017, Ms. Todgham Cherniak spoke before the House of Commons Standing Committee on Access to Information, Privacy and Ethics. Ms. Todgham Cherniak provided testimony with respect to solicitor-client privilege at Canadian airports, Canadian ports of entry, and U.S. pre-clearance areas on Canadian soil. Cyndee Todgham Cherniak has been quoted in an article published by Thomson Reuters on September 22, 2017. The title of the article is "Canada Imposes Sanctions on Key Venezuelan Officials". Ms. Todgham Cherniak discusses the scope of the sanctions. On September 27, 2017, Cyndee Todgham Cherniak will be appearing before the House of Commons Standing Committee on Access to Information, Privacy and Ethics. Ms. Todgham Cherniak will be discussing privacy of Canadians at airports, borders and travelling in the United States. Cyndee Todgham Cherniak has been quoted in an article written by Ann Macaulay in the CBA National Magazine on September 5, 2017. The title of the article is "Managing the Trump Effect". Ms. Todgham Cherniak discussed issues regarding NAFTA, and the NEXUS Program. Cyndee Todgham Cherniak has been quoted in an article written by Ken Hanely for the Digital Journal entitled "Canada's NAFTA priorities exclude key proportionality clause"
Cyndee Todgham Cherniak has been quoted in an article in the Globe and Mail entitled "Ottawa says it lacks law to sanction Venezuelan government officials" written by Michelle Zilio. Cyndee Todgham Cherniak has been quoted in an article by Michelle Zilio entitled "Opposition, activist call on Liberals to sanction Venezuelan government". Ms. Todgham Cherniak discussed the lack of Canadian economic sanctions against the Maduro regime. Cyndee Todgham Cherniak has been quoted in an article by Ken Hanely which was posted in the Digital Journal on July 21, 2017. The title of the article was Three key changes Canada should demand in NAFTA negotiations. Cyndee Todgham Cherniak has been quoted in an article written by Sarah Reid of the CBC entitled "Why the U.S. wants to let Canadians buy more stuff duty-free"
Cyndee Todgham Cherniak was quoted in an article by Barry Ellsworth entitled "US revokes Canadians’ travel cards without explanation"
Cyndee Todgham Cherniak was quoted in an article in the Daily Sabah entitled "US revokes travel cards of Canadians with Muslim sounding names"
Cyndee Todgham Cherniak was quoted in an article by Shanifa Nasser of the CBC"Canadian citizen has Nexus card revoked in wake of partial travel ban, questions U.S. procedures"
On July 10, 2017, Cyndee Todgham Cherniak was interviewed by Shanifa Nasser of the CBC. Ms. Todgham Cherniak discussed the recent revocation by the USCBP of NEXUS cards of some Canadian residents after the proposed travel ban to the United States. Cyndee Todgham Cherniak has been quoted in an article written by Janyce McGregor in an article entitled "2nd wave of softwood lumber duties sets up 'dangerous' talks for Canada". On April 28, 2017, Cyndee Todgham Cherniak was quoted in an article by Nicolas Van Praet and Adam Morrow which appeared in the Globe and Mail. The title of the article was Bombardier snared in U.S. trade fight as Boeing takes aim at C Series aircraft. LexSage is pleased to have assisted Cintasa S.A.
LexSage is pleased to have assisted Cintasa S.A, a Spanish company, achieve a 0% dumping margin in the CBSA Final Determination in the Fabricated Industrial Steel Components antidumping case. On April 26, 2017, Cyndee Todgham Cherniak was quoted in an article by Greg Keenan in the Globe and Mail. The Article was called "Auto sector gears up for potential changes to NAFTA’s rules of origin"
On April 18, 2017, Cyndee Todgham Cherniak was quoted in an article in the Globe and Mail written by Steven Chase and Robert Fife. The title of the article is China's Premier urges Trudeau to relax controls on high-tech exports". We are pleased to announce that Heather Innes has joined LexSage as an Advisor after almost 30 years as Senior In-House Counsel, and Global Process Leader, International Trade Law, at General Motors. Heather is available to assist LexSage clients with practical, hands-on experience managing complex legal, trade and corporate compliance issues. We are pleased to announce that Cyndee Todgham Cherniak has been named by Expert Guides as one of the top leading practitioners advising on international trade. Cyndee Todgham Cherniak and LexSage Professional Corporation signed the Columbus Statement on U.S.-Canadian Relations. On June 15, 16 and 17, 2016 in Columbus, Ohio, stakeholders in the U.S.- Canadian relationship came together on the campus of The Ohio State University to confirm the fundamental principles and essential features of the historic partnership between our two great countries and to explore the parameters of a 21st century relationship. To read the full Columbus Statement on U.S.-Canadian Relations please choose "read more". Cyndee Todgham Cherniak has been quoted in an article entitled "Revoked Nexus trusted-traveller cards reinstated, at least for now: minister" written by Jim Bronskill of the Canadian Press. Cyndee Todgham Cherniak was quoted in an article entitled "Ralph Goodale challenged on claim that no Canadian passport holders lost Nexus access" written for the CBC. Cyndee Todgham Cherniak has been quoted in an article entitled "U.S. revokes all Nexus cards from Canadian permanent residents with citizenship in restricted countries: CBSA" by Shanifa Nasser of the CBC. On February 2, 2017 Cyndee Todgham Cherniak was quoted in the CBC article entitled "Some Nexus cards revoked on both sides of border following U.S. executive order" written by Shanifa Nasser. Cyndee Todgham Cherniak was quoted in an article entitled "Some Nexus cards revoked on both sides of border following U.S. executive order" by Shanifa Nasser of the CBC. Cyndee Todgham Cherniak was interviewed by Karen Gordon on CBC Radio with to the NEXUS Card Program and revocations. Cyndee Todgham Cherniak has been quoted in an article entitled "Passing judgment on Canada’s export of military goods" published on January 26, 2017 in the CBA National magazine. Cyndee Todgham Cherniak has been quoted in an article entitled "Trump’s victory leaves Canada in ‘uncertain waters’" written by Jeff Buckstein for the January 2017 issue of The Bottom Line. Note: This article originally appeared in the issue of The Bottom Line. Any other use (reprint in a newsletter, for example) requires further permission requests. Cyndee Todgham Cherniak was quoted on January 18, 2017 in an article by Greg Keenan in the Globe and Mail called "Auto sector gears up for potential changes to NAFTA’s rules of origin"